U.S. Rep. Mark Walker filed legislation Tuesday to change the way the U.S. Department of Housing and Urban Development (HUD) provides mortgage insurance to nursing homes—the subject of a Center for Public Integrity investigation last fall. Walker’s proposed Nursing Home Accountability Act seeks to link the Centers for Medicare and Medicaid Services’ (CMS) quality ratings to loan eligibility by ensuring that new federally backed loans go to facilities with a demonstrated commitment to quality care for their residents, according to Walker spokesman Kyle Hall. Walker is a North Carolina Republican. Hall said Walker’s previous experience as a pastor had given him familiarity with area nursing homes, and a story by a local reporter using data from the Center for Public Integrity prompted the representative to take action. Under the proposed legislation, if a nursing home receives an overall quality rating of 2 stars or less out of a possible 5 stars for 30 consecutive months, the nursing home will be ineligible for any future mortgages guaranteed by HUD. The quality ratings are an important part of the government’s Nursing Home Compare website that is used by consumers to evaluate prospective nursing homes for family members. 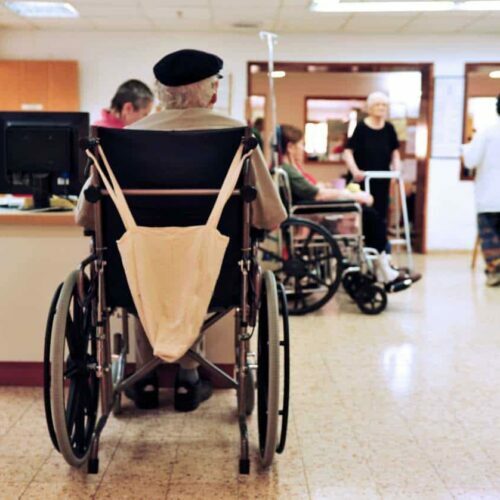 Nursing homes are inspected every 9 to 15 months, according to CMS. Walker wanted to bar from the program nursing homes that had provided sub-standard care for two inspection cycles, Hall said. The legislation’s 30-month threshold would give facilities sufficient time to improve the quality of care. But Clifton J. Porter, II, senior vice president of government relations for the American Health Care Association, a nursing home industry group, expressed concerns about the bill. Cheryl Phillips, senior vice president for public policy and health service at Leading Age, a group of non-profit aging services providers, concurred with Porter. Her initial impression, she said, was that the proposed law is too blunt a measure that could have unintended consequences for individually-owned nursing homes in economically depressed or remote areas. In those communities, nursing homes are often one of the only health care options for seniors and a major employer, according to Phillips. The Center investigation found that 240 nursing homes across the country received nearly $2 billion in mortgages guaranteed by HUD the month after receiving the lowest possible 1-star rating for overall quality of care from CMS. For close to 30 percent of these nursing homes, the loan was at least their second HUD-backed mortgage. The value of those earlier loans was close to $500 million, the Center found. The Center’s series was the recipient of The Joseph D. Ryle Award for Excellence in Writing on the Problems of Geriatrics from the National Press Club. The Project was supported by the Fund for Investigative Journalism.